Add your number to the back or sleeve of any of our In-Stock Jerseys with a minimum of 12 pieces. See pricing and application options below. with a minimum of 24 pieces. See pricing and application options below. 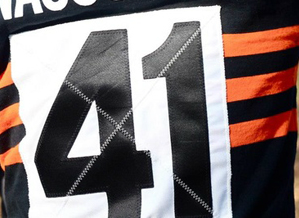 Numbers on a jersey help define who you are as a player. 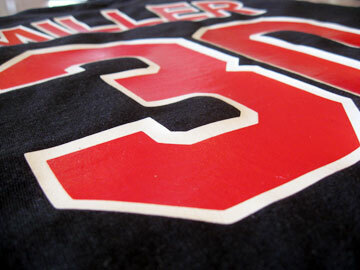 Tackle Twill is a type of polyester twill that is cut and then sewn directly onto the jersey or patch. black, white, navy, red, royal, kelly, bottle or gold. application of heat and pressure for a preset period of time. Color Choices: black, white, navy, red, kelly, bottle or gold. 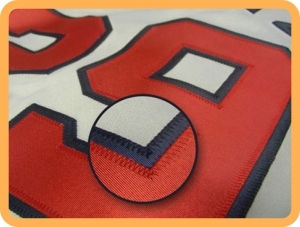 Patch Numbers feature our twill digits sewn on a patch, and then directly sewn onto your jersey. Color Choices: black, white, navy, red, royal, kelly, bottle or gold.